You are probably aware that you have 1st, 2nd and 3rd Degree connections. Anyone outside of these is not in your network. 1st Degree Connections – these are anyone you’ve added to your network, you can message them directly. 2nd Degree Connections – anyone your 1st Degree connections knows plus any connections in groups you have joined. Bonus Tip: It appears you can either Connect or Message 3rd degree connections – but a message is the Premium (paid for) option. Why do that when you can connect with them? This is as simple as hitting the Connect button and sending them a message. Always use your option to customise a message and remind people where you have met or if you know people in common. It should be about quality, not quantity! 3rd Degree connections are anyone your 2nd Degree connections know, you can follow them, whereby you get notifications of their posts. You cannot see the profiles of anyone outside of your network unless you go for the Premium option which is £39.99 a month when billed annually. 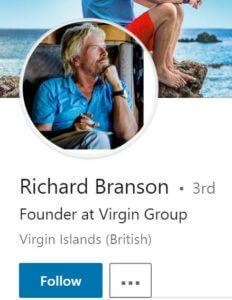 There are some people who you can only connect with via email, such as Richard Branson. This can be amended in your privacy sections if you too want to limit your connections to people who know your email address….anyone know Richard’s email address??!! If not you can always follow him. Connection requests are shown in your notifications. To accept click connect. To connect with someone go their profile and click Connect. 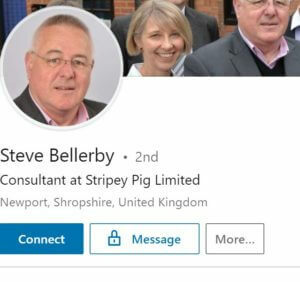 When you go to My Network in the toolbar, LinkedIn will suggest people you might know mainly based on your mutual connections. Or, you want to find more connections, use the search facility. Bonus Tip: If using the search facility you can select People, Jobs or Content (posts) or at the second stage you can select other options or apply filters such as job title and location. Your connections are visible to all of your 1st Degree contacts, unless you hide them. This may or may not be important for you depending, for example, if you are connected to a lot of your customers. If you don’t want people to see your connections change in your privacy settings. Go to Me /Settings & Privacy. Bonus Tip: If your connection has hidden his/her connections (greyed out and you can’t click on them to open the list), you can still see any shared connections further down in that person’s profile. 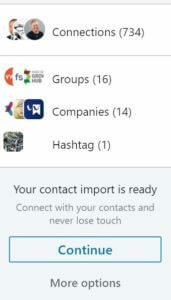 To find more connections you can synch your contacts i.e. upload your address book. 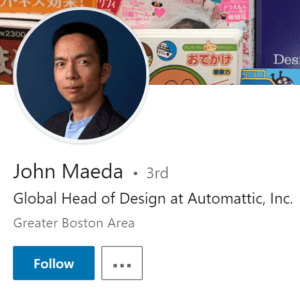 This is good if you are starting or revitalising your account or if you’ve got a lot of work connections on your email, however, this does allow LinkedIn access to your data and find contacts where the emails match. Go to My Network and in the box on the left select more options and follow the steps. 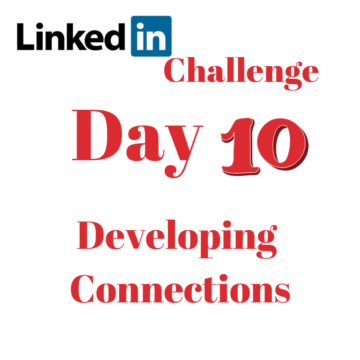 Well that’s it!–10 top tips to improve your LinkedIn Profile, equivalent to around two hours training – all for free. 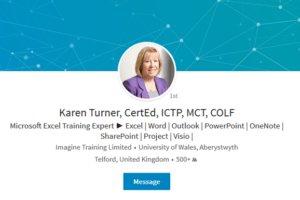 If I can help you with any blogs, articles or content on what to post on LinkedIn get in touch!